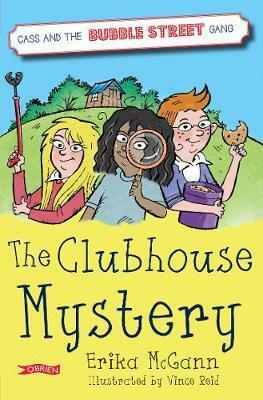 Erika McGann is author of three books in the Cass and the Bubble Street Gang series: The Clubhouse Mystery, Making Millions (2018 Dublin Citywide Reading Campaign choice) and Diary Detectives. These books, for readers ages 8+, follow the adventures of Cass and her best friends Nicholas and Lex as they try to investigate crimes and solve mysteries. Things don’t always go as smoothly as they would like! These books are filled with humour, adventure and the quirky drawings from illustrator, Vince Reid, bring the gang to life! This event is part of our Children’s Book Festival programme and is by invitation only.